Our sweet little girl has finally arrived! 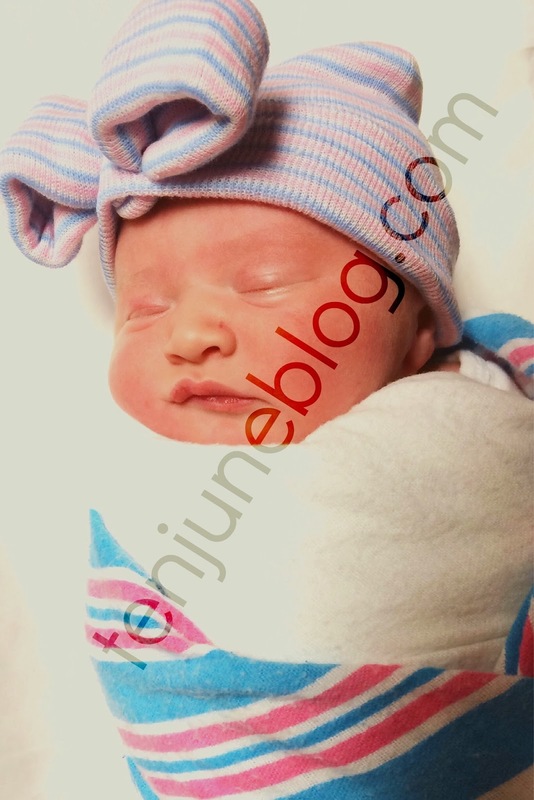 Miss LLJ was born on Friday, February 28, 2014 at 9:45 PM, weighing 7 lbs., 8 oz. I'm happy to report that she's incredibly healthy and happy. Momma's feeling great, Daddy's in love and HDawg is quickly learning that he's a big fan of this sweet thing, as well. Welcome to the world, little lady! How precious! I just wish you really would name her June...I've always loved my name. It's short, sweet, and I'm never confused with anyone else. Beautiful!! I'm sure she's such a sweet "surprise"! How beautiful, Lady June will have a lot of attendants I'm sure:) My mom would have loved at how you call her Lady June! Congrats to you all! So glad to see she's here and she's really a girl! :) Congrats to you and your family, MIchelle!! congrats to your family! she's gorgeous! Oh congratulations! :) She's perfect! Congrats! She's finally here!! Yay! Ahh! Congrats! She's so precious! Congrats! What a darling! Hope you are resting and enjoying your #2! Congrats and welcome to the world beautiful girl! February 28 is a great day--my twins birthday too! Congratulations! You is so precious! Welcome indeed! How blessed you are with a sweet and healthy baby girl, I'm so excited for you and your growing family! She's perfect! Congrats my friend! She is beautiful! !